MIM(Prisons)'s 2015 congress was marked by some major successes and growth in our work over the past year. 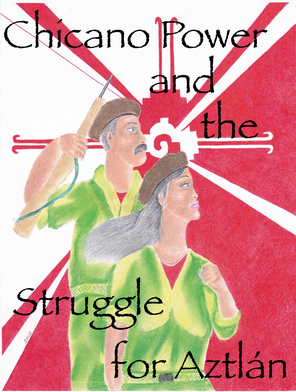 We reached our goal from 2013 of doubling Under Lock & Key subscribers; helped write, edit and publish [email protected] Power and the Struggle for Aztlán; and we took up the Strugglen Artists Association project and collected and distributed some great art both behind bars and on the streets. We have continued to support and build prisoner education, running both beginner and advanced correspondence study groups, sending in many political magazines and books, and supporting more than 30 prisoner-led study groups. 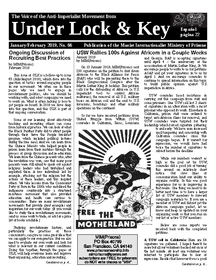 Building on these successes we will continue to: promote and distribute the [email protected] Power book, expand prisoner-led study groups, and build support for more United Struggle from Within (USW)-led campaigns. All of this project-based work remains focused on our primary goal: serving the oppressed in prisons within the United $tates, while working from the vantage point of the Third World proletariat. We recognize that imperialism is the number one enemy of the majority of the world's people, and we are fighting from within the belly of the beast in the advanced stage of imperialism, where the majority of the people living within U.$. borders have been bought off with the spoils of capitalist profits. What would your help mean? What Kind of Help Does MIM(Prisons) Need? The most helpful thing is dedicated, consistent support. Whether daily, weekly or monthly; whether the tasks you can do are easy or difficult; we challenge you to make a pledge to become a regular contributor to our work. If you are not able to commit some regular practice and are looking for ways to contribute in one act, then send us a donation or see our list of specific tasks below. We've made a call to our online readers to step up and demonstrate that our presence online is worthwile. cash: U.S. dollars are by far the easiest thing for us to use. Some have expressed concern about mailing cash. But it is really no more risky than mailing stamps, or blank money orders. Internationally there may be more risk. If you want to prevent theft use large bills and put them in a mylar bag or aluminum foil. But generally wrapping bills in some paper is fine. Another limiting factor right now is our ability to transcribe the writings of our imprisoned comrades digitally. This is also an easy way for new people to support our work. All you need is a computer with internet access and the ability to type. We constantly need people to type for study groups and for print in Under Lock & Key. Contact us to help out. Expand ULK. Send us $50 concealed cash with an address and we'll send you a stack of each issue for the next year. Visit our Campaigns Page and find out what the latest struggles are behind bars. There you will find information and materials on how you can contribute by writing letters, joining a petition or postcard campaign, distributing literature, posting fliers, and more. Hold public events - screen Unlock the Box, invite speakers, write campaign letters, gather book and money donations at the door, etc. While we can win battles via reformist-oriented campaigns, the oppressed need to be self-determined in order to break free from the injustice of this system. Following in the footsteps of the Chinese Communists and the Black Panthers, MIM(Prisons) has instituted a number of Serve the People Programs that have the purpose of providing the oppressed with what they need to better fight. 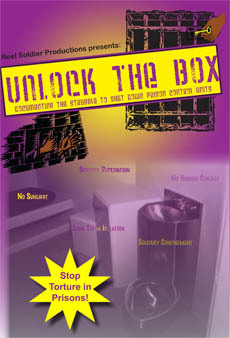 Help prisoners educate themselves in politics, law, history, etc. Send anonymous money orders and stamps to MIM(Prisons) PO Box 40799, San Francisco, CA 94140. Before sending donations of books, get in touch and let us know what you have. All the literature we send in has a much greater effect when read as part of organized study groups with other serious students. There is lots of work to do administering these classes and transcribing prisoners' answers. After release from prison too many comrades fall into the traps that land them right back into prison. We are working to build relationships with services that help released prisoners adjust to life on the outside and better contribute to the community. Any legal savvy people can contribute greatly to our struggle against censorship. Most likely we have a battle near you that you can take on. We've got the documentation. Also check the campaigns page for battles we are actively pursuing you might help with. Anyone can write letters to prison administrators. Check our campaigns page for active battles you can support. You can also find more examples of censorship and letters others have sent in our censorship archive. Please send us a copy of your letters. Have you been censored by U.S. prison staff? Report your own experiences to help contribute to the Censorship in Amerika Documentation Project. Help research, write material or create art for Under Lock & Key. How do I communicate with MIM(Prisons)? 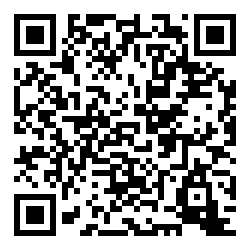 Our Contact page has info on how to contact us via email, post office box, reddit messaging, or our anonymous web form. I'm Already A Maoist, How Can I Work with MIM(Prisons)? Well, besides all the things above... We think there are many priorities for the MIM to be taking on right now that do not fall within the scope of work we've laid out for the MIM(Prisons) cell, which is focused on organizing prisoners. Whether cells are location or issue-based, we should watch each others' work and develop relationships based on the commonalities in our work. MIM(Prisons) will not communicate with other cells online over unencrypted channels. To date, one thing we've consistently looked for in terms of support from other cells is study materials to distribute to our readers. For Under Lock & Key we are always working to ensure that we keep an internationalist perspective with Maoist analysis of global events. Clear, concise analysis of and agitation against U.$. imperialism is a good way for a cell to do it's own thing while supporting MIM(Prisons)'s work.